Andre Breitenreiter is to step down as Schalke coach after a year in charge in Gelsenkirchen. FC Schalke 04 have confirmed Andre Breitenreiter will not coach the team for the 2016/17 season. 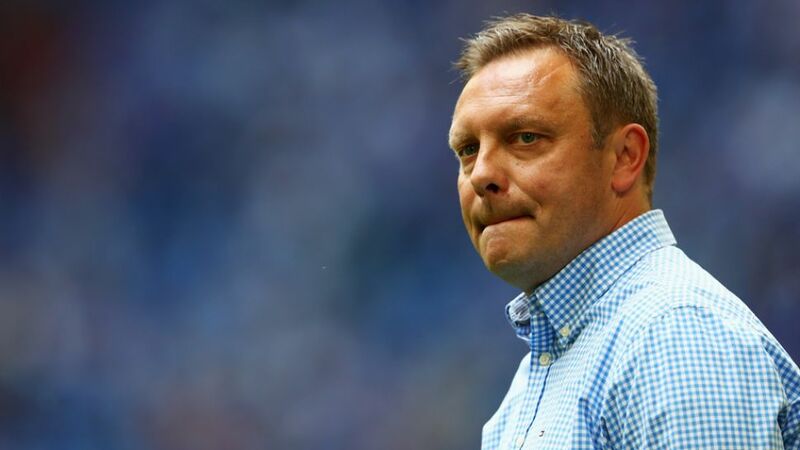 German media have been speculating on Breitenreiter's future for some weeks, and the Gelsenkirchen club announced early on Saturday afternoon the former SC Paderborn 07 tactician will step down after a year in charge. Breitenreiter told German TV he had been informed by incoming sporting director Christian Heidel he was being relieved of his duties for the coming season. "I spoke to Christian Heidel this week. He very frankly and directly told me of the decision that I will enjoy my last game with the FC Schalke boys today," Breitenreiter told SKY Germany before the Royal Blues' Matchday 34 game at TSG Hoffenheim. Schalke have already , and know victory in Saturday’s season-closer will see them directly into the group stage of European club football’s second-tier competition.